More than ever before, Arkansas artists seek careers in film, video and radio editing. Audio-visual editing specialists are needed for all multimedia projects. Advances in digital technology have created an ongoing economic demand for local professional multimedia editors. Arkansas offers a full selection of Universities, colleges and film schools featuring training programs in audio-visual editing design. Acclaimed Arkansas design schools include Rich-Mountain-Community-College in Mena, University-of-Central-Arkansas in Conway, Harding University in Searcy and John Brown University in Siloam Springs, among others. Many Arkansas artists prefer to obtain skills and degrees via accredited virtual film schools like The Art Institutes, Full Sail University, Stratford Career Institute, University of Phoenix, ITT Tech and DeVry. Some online design schools offering film study programs also provide supplemental campuses and local resource centers. University of Phoenix and ITT Tech both have campuses in Little Rock. 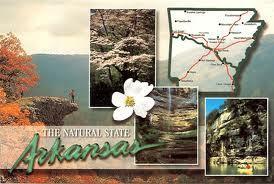 Assorted Arkansas business associations employ local multimedia editing professionals for various audio-visual tasks. Among them are advertising agencies, software developers, educational media providers, record companies, website designers, animation studios and many more. Arkansas video editors often work for local TV stations like K-TV in Little Rock, KHBS in Fort Smith or Arkansas Educational TV Network in Conway, for instance. Arkansas sound editors are sometimes employed by local radio stations like Citadel Broadcasting in Little Rock, KIGL in Fayetteville and Times Record Online in Fort Smith, to name a few. Most professional multimedia artists employed full time in the state of Arkansas earn anywhere between $45,000 and $65,000 annually. However, this data does not reflect the incomes of part time editors, freelance professionals or Arkansas residents employed by offshore businesses. Multimedia editors are skilled, commissioned audio-visual artists who are somewhat familiar with all aspects of film making, broadcasting and sound recording. Their special area of focus involves arranging and adjusting film clips and/or sound bites into precise configurations, for the purpose of sending a specific message, evoking a certain mood or keeping within a set time limit. Technical skills of multimedia editors include computer operating system expertise, professional use of mechanical devices and proficiency with digital editing software. Popular multimedia editing software programs currently in use include Adobe Premier, Final Cut and Unreal Editor. Audio-visual editors are also familiar with traditional editing techniques, which still serve essential purposes for things like movie remakes, enhancement of vintage recordings and high tech information transfer.